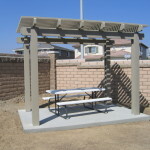 If you already have estimates then send us a picture (with or without the price covered). 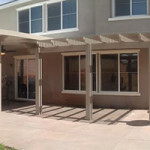 Complete our estimate form and we will call you back to schedule an in home estimate. 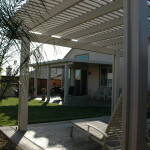 Freestanding Alumawood patio cover. 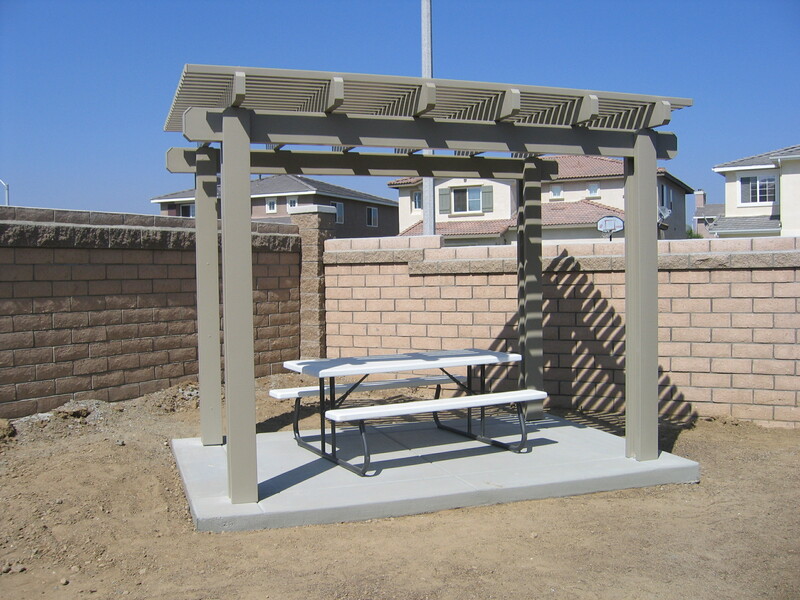 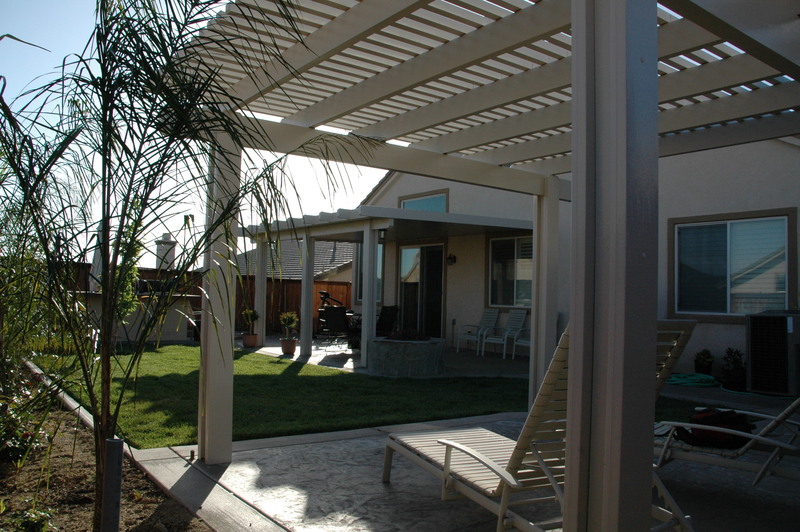 Details about this patio: Built with steel brackets, Adobe color, Laguna lattice, mitered ends, 2″x2″ tubes.